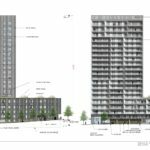 Bora Architects and Hoyt Street Properties have gone before the Design Commission with proposals for a 21 story tower. 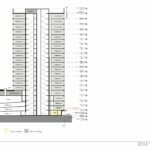 The 246′ tall Block 20 tower will include 149 residential units, offered for sale as condominium units. 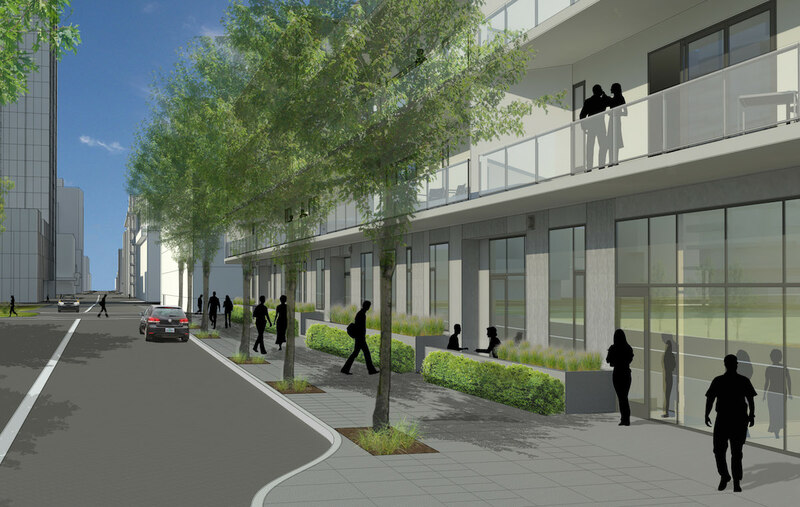 Two small retail spaces are proposed at the corner of NW 12th Ave and Pettygrove Street. 192 car parking spaces and 224 bike parking spaces will be provided. 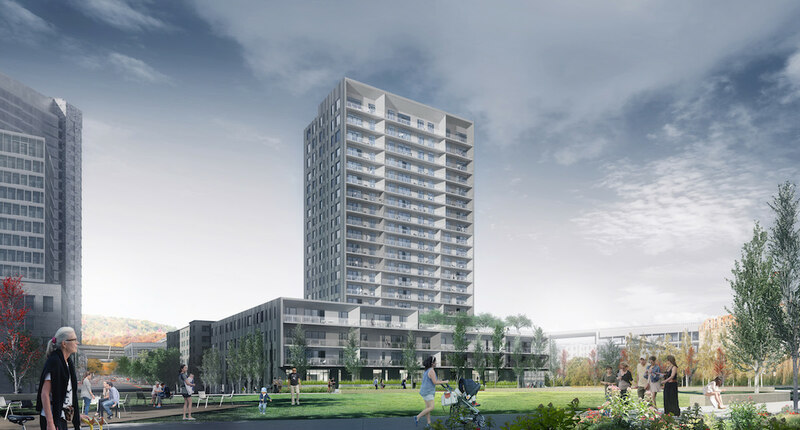 Block 20 is the first condominium tower to go in front of the Design Commission for almost a full three years. The most recent major condominium project in Portland prior to Block 20 was the Cosmopolitan on the Park, by the same developer and architect. The Cosmopolitan was approved by the Design Commission in July 2013, and is now nearing completion. 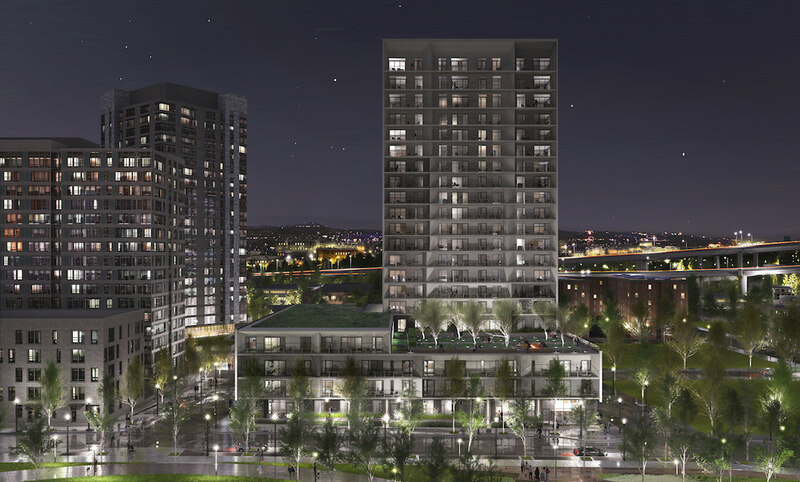 The project site is a full block site in the North Pearl, on the site of the former Hoyt Street Railway yards. 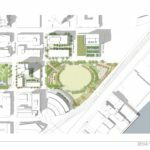 The site bound by NW 11th Ave, Pettygrove St, 12th Ave and Quimby St, and is directly to the west of The Fields Park. One block to the south of the proposed building is the recently completed Block 17 Apartments. The building is arranged as a full block podium structure, of four to five stories in height. The podium contains the above grade structured parking for the building, which is buried in the interior of the block and is entirely wrapped by residential uses. The tower occupies the northeast corner of the block, and rises from the sixth level to the twenty first level. At 246′ tall, the tower exceeds the 225′ maximum height established for the western half of the block. 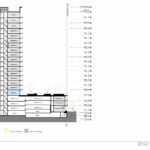 This is allowed through a provision in the zoning code, unique to the Pearl north of Lovejoy, that allows towers of unlimited height when the floorplates above 100’ are 12,500 sq ft or less in area. 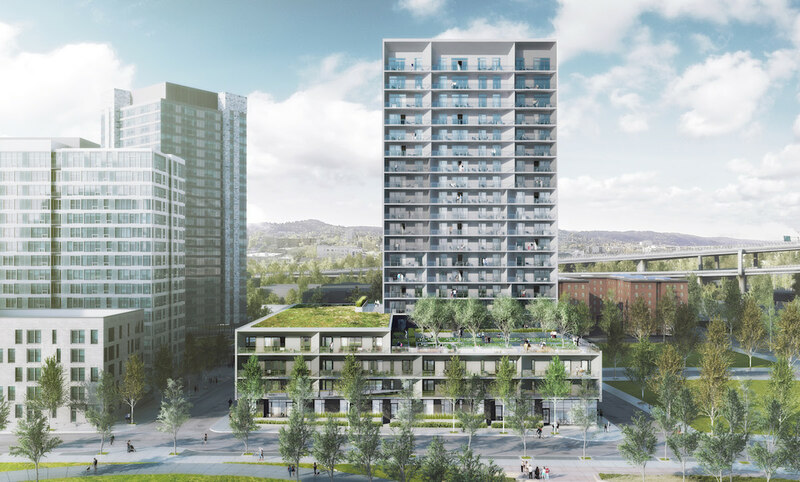 The primary materials for the building are Equitone glass fiber reinforced concrete panels at the north and south elevations, and stucco at recessed balconies on the east and west elevations. 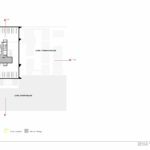 Other materials proposed glass guardrails, curtain wall glazing, aluminum storefront, aluminum windows, as well as custom perforated metal garage doors and façade panels. 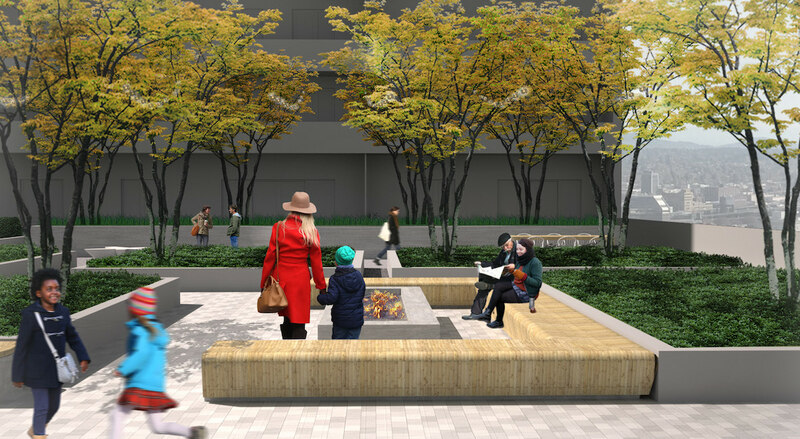 At the fifth floor the building will include a landscaped roof terrace, for the use of building residents. 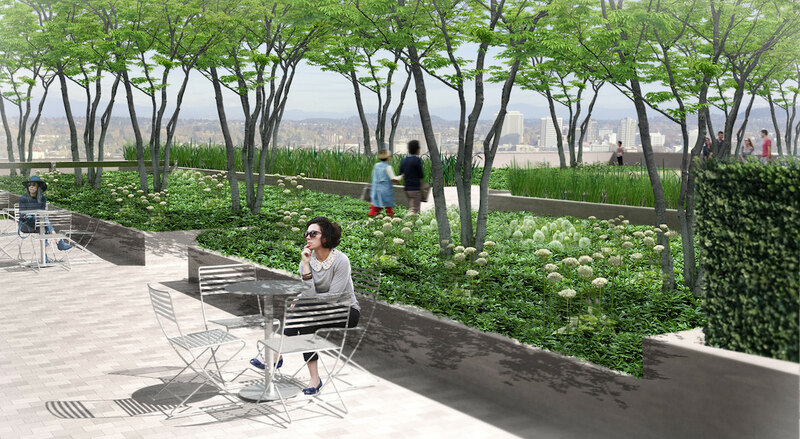 A planted ecoroof will be created at the sixth floor, over the podium structure. 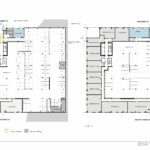 A Staff Report and Recommendation to the Design Commission [PDF], published before the June 2nd hearing, did not yet recommend approval for the project. Although largely positive about the project, the report identified three of the ground level frontages as “struggling”. 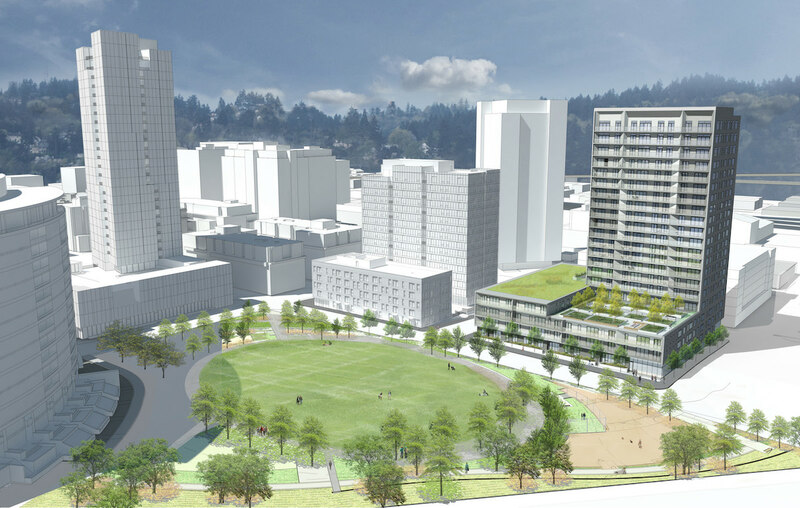 This sentiment was shared by the Design Commission, who had particular concerns about the ground level residential units facing the Fields Park. 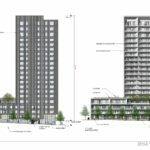 Though the applicants argued they have found the ground floor units at the adjacent Block 17 to be successful, members of the Design Commission said that they had noticed that the blinds are often drawn during the day, creating an inactive streetscape. 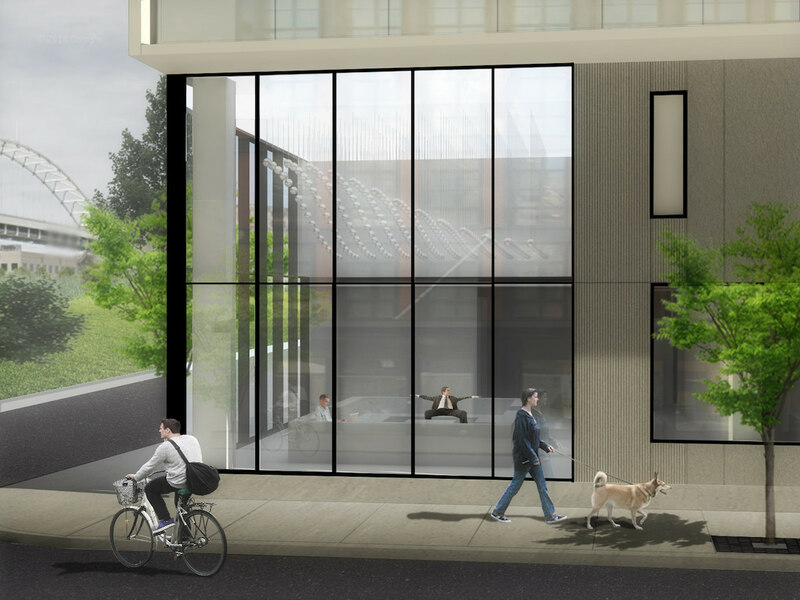 Suggestions given by the Commission included replacing the residential units with “live/work” units, or adding micro retail spaces similar to those at the Central Eastside Lofts at NE 6th & Davis. 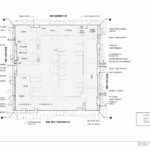 The project is currently scheduled to return for a second Design Review hearing on June 30th. 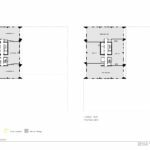 This entry was posted in Bora Architects, Hoyt Street Properties, Pearl, Vista Pearl. Bookmark the permalink. finally some inventory intended for sale! that is a whole lot of balcony on the southern facing facade. Why do developers/architects still believe “Rain Cloud” is a popular color option for these buildings? Perhaps they do not have enough money in their budget to cover the amount of windows they’d like on the North & East façades – another darkened atrocity for us to view with bewilderment, this one from the Fremont Bridge. 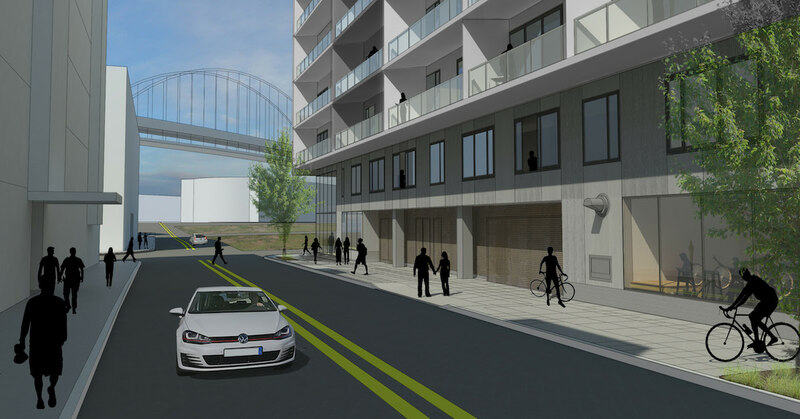 If you’re driving over the Fremont Bridge, you should probably be more focused on driving, rather than looking at all the new buildings. @John, let’s elevate the discourse. 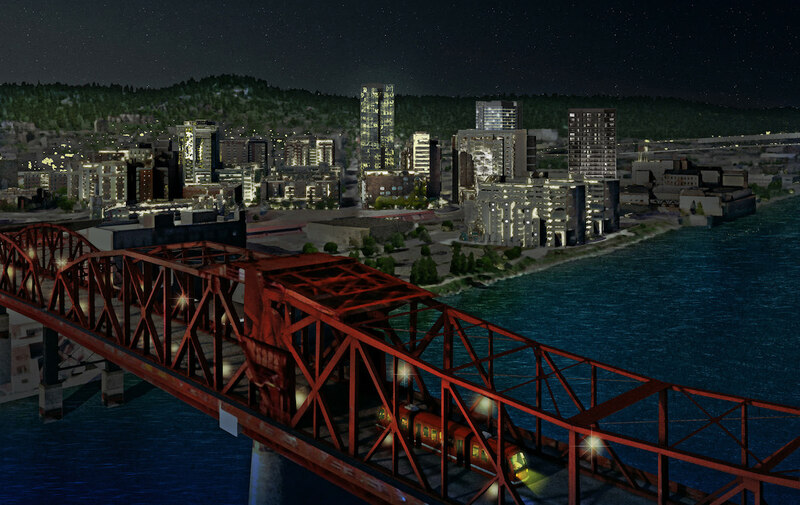 It is possible to be a passenger in a vehicle and view the Pearl from the Fremont Bridge. It affords one of the best vantage points of the city. I’ve seen it on foot and bike as well during Bridge Pedal. Another tall building just like their last one. Not much improvement either. Tall and dark with even fewer eyes on the street. The wind effect will continue to be significant in the neighborhood. It’s not about how many parking spaces (bikes or cars) it’s about livability for the entire neighborhood and this building isn’t helping. City of Portland has a different view of “livability”. 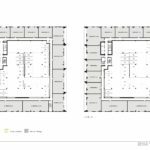 The recent North Pearl projects have all been light on active ground floor uses in large part because it has been very quiet there with little foot traffic. It was an abandoned rail yard of bare toxic land after all. 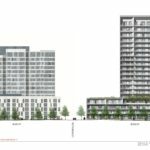 Hundreds and hundreds of new units–mostly rentals which will be full time residents as opposed to many of the condos operated as second homes will soon be completed. Very shortly a new much larger population will be there. 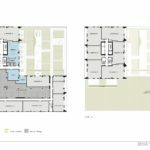 We must insist at minimum the OPTION of retail be put in place lest this part of the Pearl be destined to remain a sterile bedroom community–certainly not what the Pearl was planned to be. The other impediment to successful active ground floor use is access. Unfortunately train tracks cut off the “River District” from going to the river. 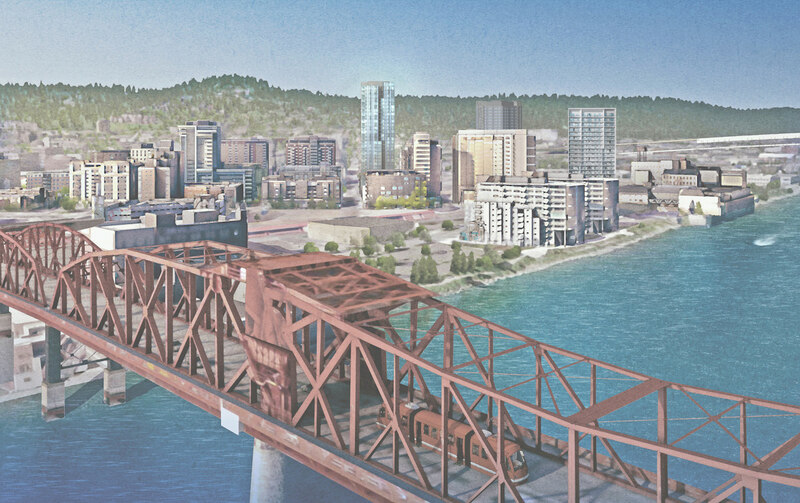 Portland needs to belly up and bridge the neighborhood to the river and open up the North Pearl to the city at large. We don’t need towers in the park–we know that story and it doesn’t end well.